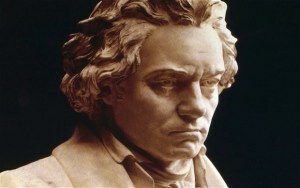 According to Wikipedia we find that Fur Elise (For Elise) is one of Ludwig van Beethoven’s most popular compositions. The score was not published until 1867, 40 years after the composer’s death in 1827. The discoverer of the piece, Ludwig Nohl, affirmed that the original autographed manuscript, now lost, was dated 27 April 1810. It is not certain who “Elise” was. It has been suggested that Ludwig Nohl may have transcribed the title incorrectly and the original work may have been named “Für Therese” a reference to Therese Malfatti von Rohrenbach zu Dezza (1792–1851). She was a friend and student of Beethoven’s to whom he proposed in 1810, though she turned him down to marry the Austrian nobleman and state official Wilhelm von Droßdik in 1816.